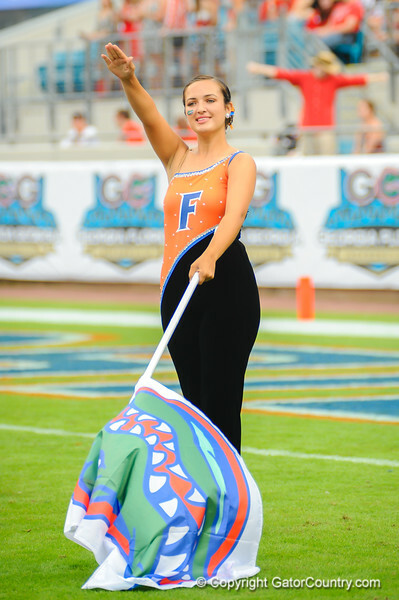 A University of Florida band member waits for the band to start their performance. Florida Gators vs Georgia Bulldogs. EverBank Field. November 2, 2013.